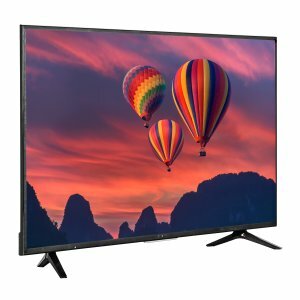 2018 Black Friday Doorbuster！Walmart offers the Sharp 50" Class 4K Ultra HD LED TV (LC-50Q7030U) for $249. Walmart also offers the Sharp 55" Class 4K Ultra HD (2160P) HDR Smart LED TV (LC-55Q7030U) for $299. Features: Spectacular color and clarity is only the beginning for the Sharp 50" Class 4K Ultra HD (2160p) HDR Smart LED TV (LC-50Q7030U). Built-in software gives you blacker blacks and whiter whites. You'll be immersed in sound (thanks to dbx-tv) from the TV speakers. Even fast action sequences are crisp and smooth. It all adds up to big-screen thrills.